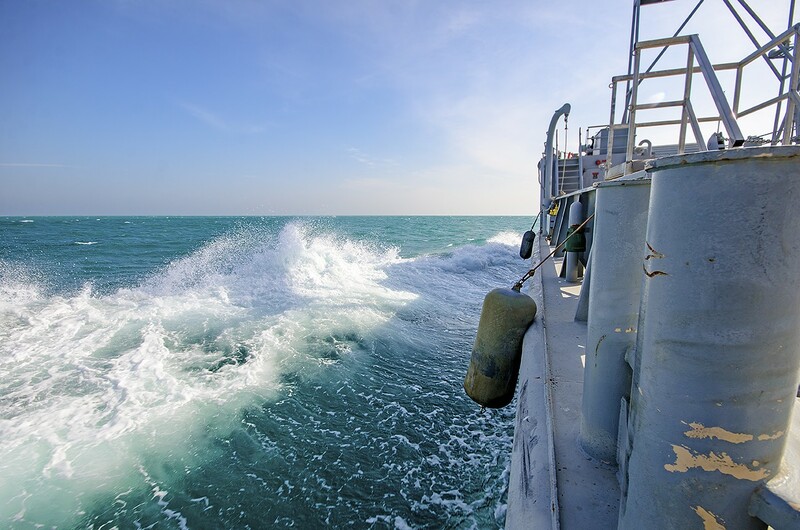 KUWAIT NAVAL BASE, Kuwait -- Members of the 401st Army Field Support Brigade set sail and conducted a sea trial for a Landing Craft Utility vessel here, Dec. 21. 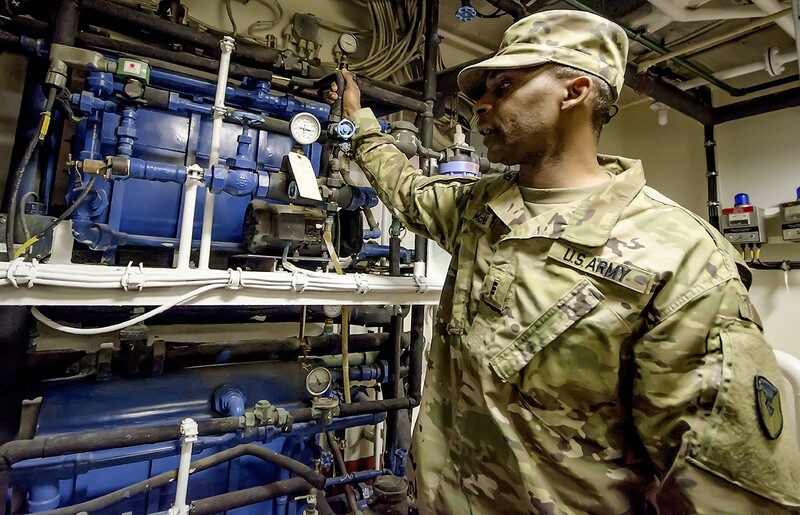 The U.S. Army Vessel Corinth was activated from Army Prepositioned Stocks-5 in order to verify its serviceability after receiving critical repairs. 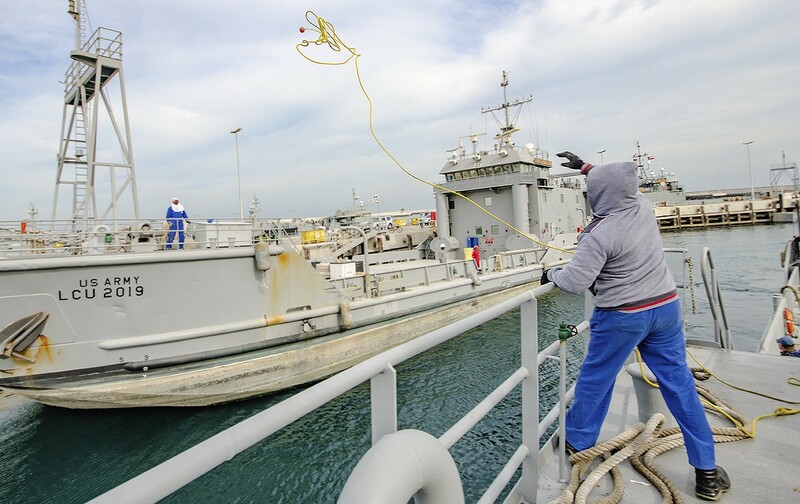 "The LCU class vessel is paramount to intratheater movement of cargo and combat equipment from off shore to shore, and is capable of receiving cargo from an anchored ship for ship to shore discharge," said Chief Warrant Officer 3 Wendell McNeil, watercraft maintenance chief, 401st Army Field Support Battalion-Kuwait. 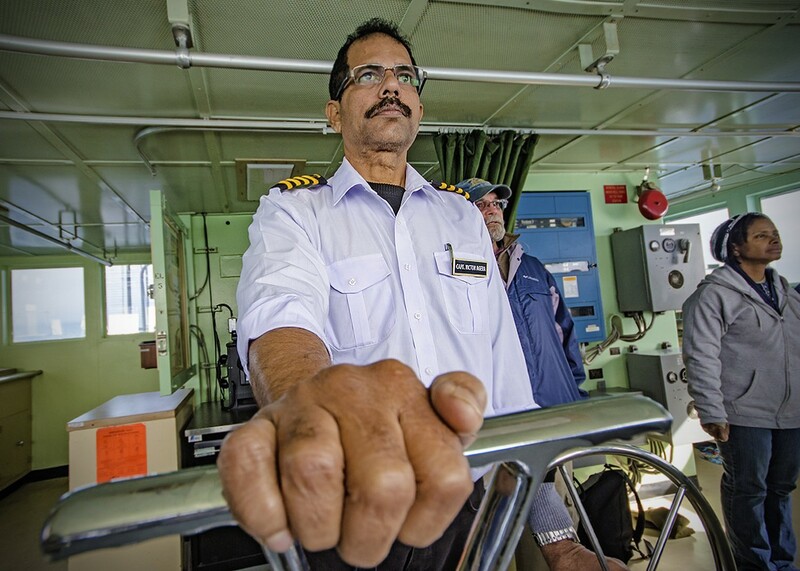 This maintenance run was necessary because of recent repairs to the vessel's bow thruster clutch. The bow thruster is part of the vessel's maneuvering system and is critical for navigating through challenging or restrictive areas. 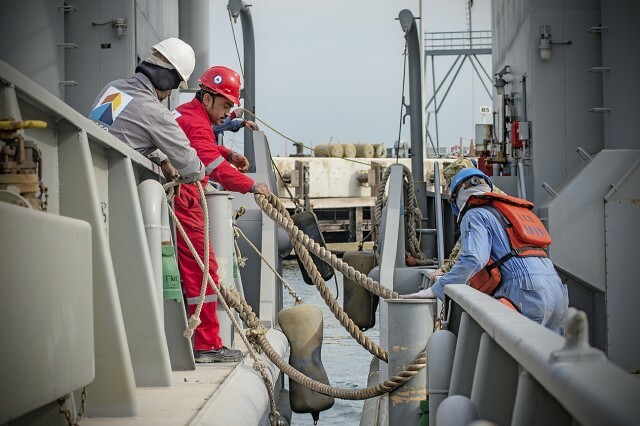 "This kind of operation is done by constantly observing all equipment visually while taking readings and paying close attention to the equipment's pressures and temperatures," McNeil said. "In the case of the bow thruster, we also employ the use of a mechanical listening devices to listen for any possible grinding noises due to the mechanical failure of internal parts." There are 32 vessels in the APS-5 watercraft set, along with a 115-ton Barge Derrick crane, floating Causeway, Causeway ferry, and a roll-on/roll-off discharge facility. 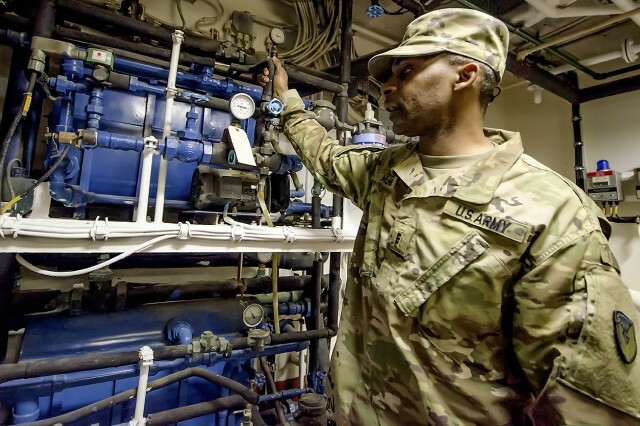 Maintaining Army watercraft comes with unique challenges that require specialized background and expertise, said Staff Sgt. 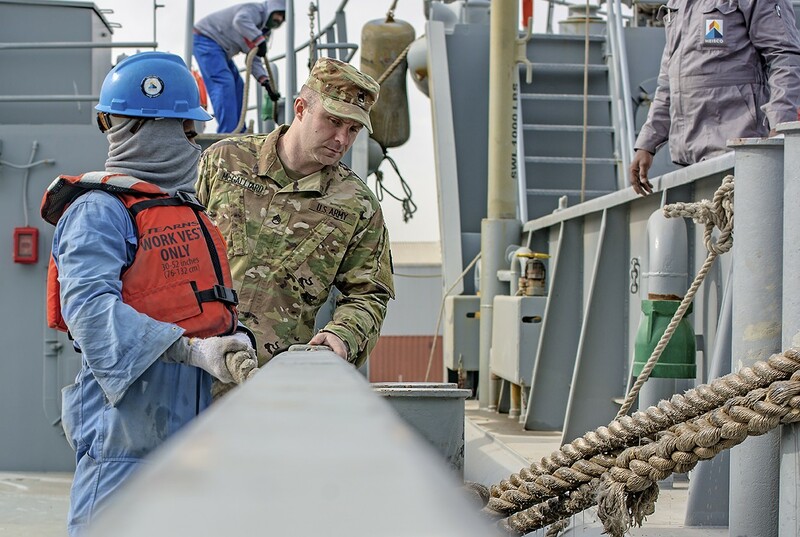 Benjamin McGalliard, watercraft maintenance noncommissioned officer in charge, 401st AFSBn-Kuwait. "For starters, explaining to people outside of the watercraft community what we need and the differences in maintenance requirements between watercraft and rolling stock can be difficult," McGalliard said. "Ordering and receiving parts both underway and in port have their challenges and are not typically the same as a rolling stock," he said. "Some of the parts and items are very specialized and are not easily available in the Army supply system." 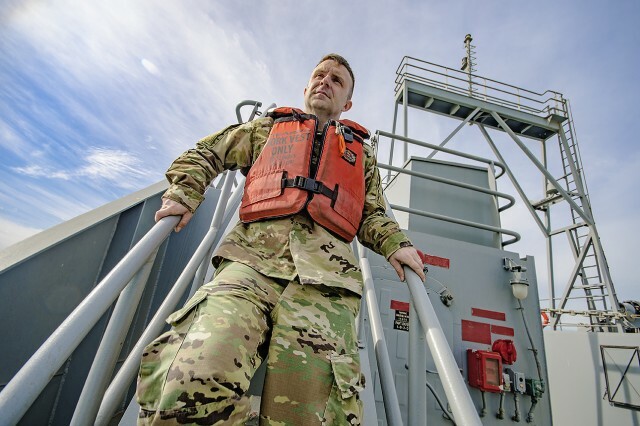 Together, McNeil and McGalliard share nearly 20 years in Army watercraft experience on multiple vessel platforms. "Some of the most enjoyable things about working with the watercraft is the Soldiers that you get to work with," McGalliard said. "They are true professionals and experts in whatever they do and their technical knowledge is second to none." 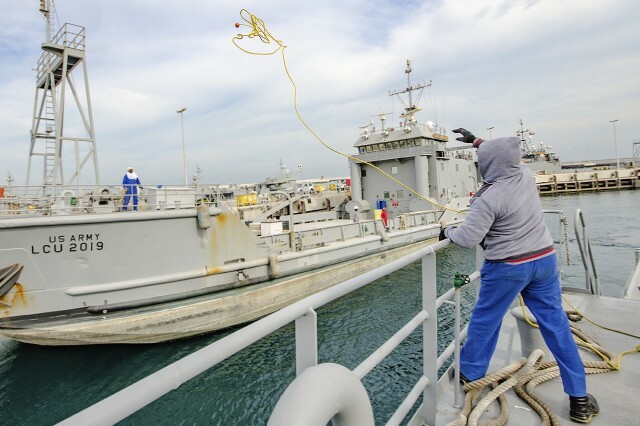 These vessels are capable of moving all classes of supply, including M88 Armored Recovery Vehicles, M113 Armored Personnel Carriers, track vehicles, engineering equipment and ammunition. 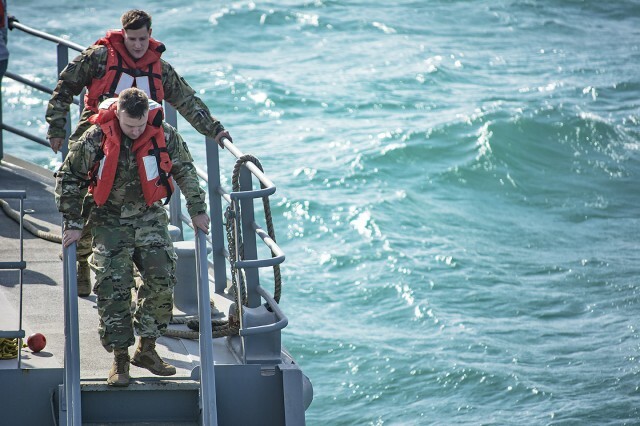 The ability of watercraft to move so much combat power makes their operability critical in joint logistics endeavors, said McNeil. "Overall the maintenance run yesterday went very well," McNeil said. 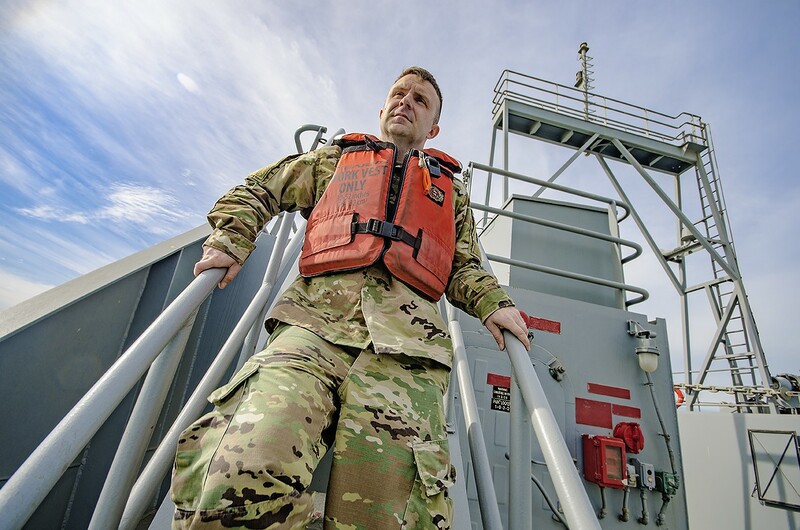 The APS-5 watercraft set accounts for 25 percent of the Army's total watercraft and is broken down into four companies; a Heavy Boat Company, Medium Boat Company, Floating Craft Company, and a Modular Causeway Company. The 401st AFSBn-Kuwait operates the majority of APS-5, which in addition to the watercraft set includes an Armored Brigade Combat Team set, Infantry Brigade Combat Team set, Sustainment Brigade set, Fires Brigade set, and a Medical Brigade set totaling about $5.5 billion worth of equipment.